We utilize social media to increase Kukui Grove’s advertising exposure at every opportunity. After a year of creating a database of online followers and fans, we decided to test Kukui Grove’s social media reach initially by promoting a new Toddler Thursday event via our Twitter and Facebook pages. The results were amazing! Attendance increased each week. Recently, we garnered our largest turnout of more than 81 toddlers thus, providing valuable entertainment for our weekday consumers and increasing pedestrian traffic for our merchants. Social networking is changing the way we do business everyday. 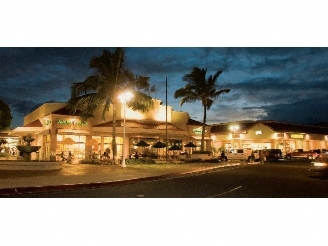 Kukui Grove has received great benefit from social networking, and we are certain that your business can too. Clarify your objectives, develop a strategy, and execute appropriate tactics. To increase traffic to your social media site, always include who, what, where, when, and why. Partner with neighboring businesses to promote special offers. Create an online “code” that only your followers will know to track store sales, purchases, etc. Promote your social networking presence through email blasts or one of your current advertising vehicles. Negative feedback is okay. Plan a strategic response to negative and positive feedback before responding. Visit Kukui Grove Center at www.kukuigrovecenter.com, www.Twitter.com/KukuiGrove, www.Facebook.com/KukuiGroveCenter, and http://kukuigrovecenter.posterous.com.